We did it! OneMama’s 3rd year attending the United Nations was such a success… and it wouldn’t have been possible without YOU. Over 30 incredible volunteers, team members, and global partners from the OneMama family gathered in New York City last week to bring the voice of our village to a global, policy-making stage at the United Nations Women Commission on the Status of Women. Sharing about OneMama’s social entrepreneurial programs! 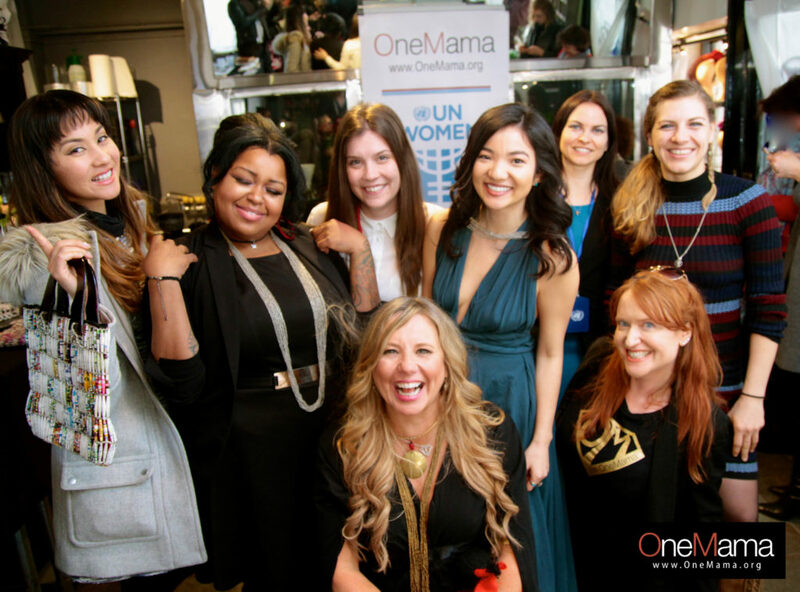 We want to give a special thanks to Women’s Intercultural Network’s founder Marilyn Fowler, for featuring OneMama as a Global Partner Delegate of UN Women. Also, a HUGE shout-out to our panel co-host Jessica Buchleitner, founder and author of 50 Women Book Two for sharing the OneMama story in her book. At OneMama’s Parallel Event: Global Funding Solution from Social Entrepreneurs, we connected with incredible game-changers across industries to share the story of OneMama, while showcasing the designs from OneMama Collection’s New York Fashion Week line. Not only did we have an incredible turnout for the event, but the love we received from the OneMama family from all corners of the globe reminded our team of just how far we’ve come. The life-saving work at our OneMama in Uganda is now making a worldwide impact! UN Women team of incredible women, fighting for JOY! Continue to celebrate the success of this event with us by pledging to help save the lives of mothers and babies in need and by making a recurring monthly donation where 100% of your donation goes back to the grounds at the OneMama Clinic! We are so honored that you are on this journey with us to create global social change from a place of JOY. Thank you for all you do to fight for the mamas and babies of the world!